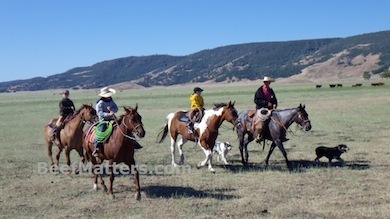 Part of our day to day job is checking on the various groups of cattle on the ranch. Recently, during our check of this group of pairs we noticed we had a few sick calves. 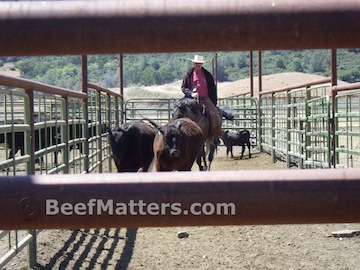 We brought the pairs into the corral in order to doctor those calves that needed it. 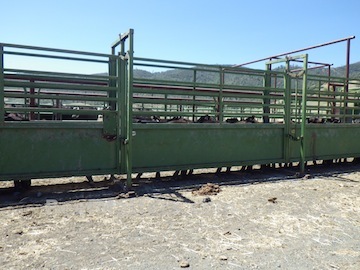 We separated the cows from the calves to make it easier to work with just the calves. 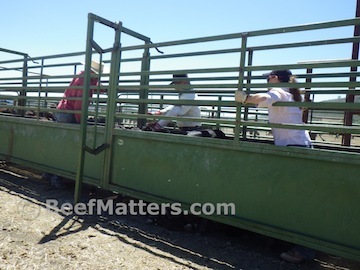 Then we put the calves into the alleyway leading up to the chute. My husband worked his way down the alley giving a nasalgen to each calf to protect them from the respiratory infection that some of the other calves have. The calves that were sick were given a shot to help them recover quickly. I stood behind the last calf making sure they didn’t turn around and make a break for it out the back of the alley. 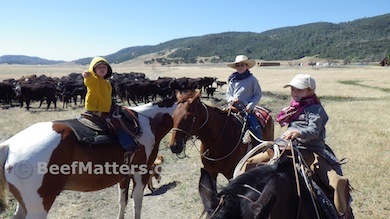 It was a quick process and we soon had the calves back with their mama cows. 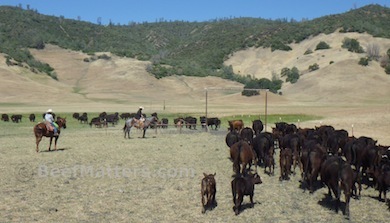 It wasn’t long before we had taken the cows and calves to a new field. Our crew hard at work!